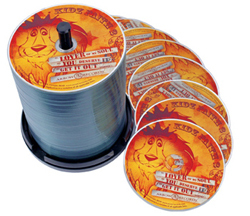 CD-R Duplication and Full Color Thermal Print. Upload your music via www.sendspace.com or www.yousendit.com sending to our email [email protected] with your order number. Please make sure each song title starts with the number of the placement of the song (ex. 1. Song Title, 2. Song Title, 3. Song Title, etc.). Our system puts the songs in numerical order or alphabetical order by default. We do not check the files you send to us and duplication is done straight from the files sent to us as is.